Habits, they make us who we really are. If they are good habits they can help us to be successful if they aren't good habits they may keep in the same place all the time or maybe even bring us down. Success surely is a learned behavior, when we think of success, people usually associate it with habits. Habits which make us successful at what we want to accomplish. So our habits if we keep them in check can bring us success. This requires discipline, attention to detail, mindfulness, and perseverance. How can this be related to Motorsport? A well working machine requires these same qualities if it is to work. I was given the opportunity to watch these habits in practice when I went to visit the Neil Corbin Racing Team, working on their rally car, preparing it for some development as the season this year got started. Neil Corbin, the driver of this Toyota Starlet, has been rallying since 2003, with this same machine I might add. This car has been through a lot in its development. Neil started in the SOL Barbados Rally event. He basically jumped head first into the deep end of the pool. This being his first rally event, he pushed hard through the stages, but after an afternoon shower, he acquired his DNF from a tree spectating the event. Warming the engine oll, so it flows out the engine when it's drained. This didn't deter Neil though, and 15 years later, he's still here, his car has been through a ton of changes since then. He's built his reputation as a driver not to be reckoned with. The idea goes around that if you think you are good at driving you'll do well in Rally, I mean it seems pretty obvious right? But that's not the case. Driving is only really one aspect of Rally, driving may even be the smallest aspect of a Rally. Neil has over the years along with his team developed habits which have made them successful in this grueling Motorsport. I was able to have a look behind the scenes at what some of these habits were. Today they were taking the engine out of the car so it could be worked on, he was going to make some changes, in an effort to get as much power and reliability out of it. It started with warming the oil up in the car so it would flow freely from the engine. Once that was flowing they set up the drain and let that flow as they did a bolt check on the car. 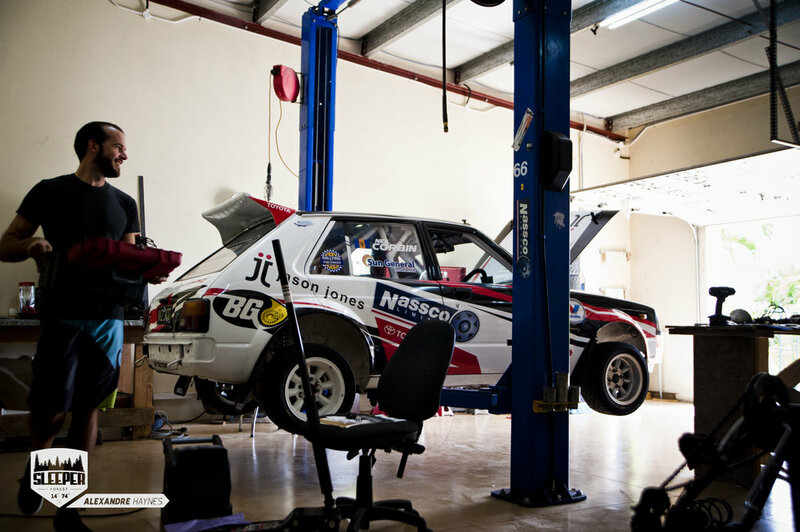 Bolt checks on a rally car are the most important parts of maintenance. As the car vibrates on the stage, it basically shakes itself loose, so constant bolt checks ensure important mechanical parts stay together and the car makes it through. At the heart of Neil's Starlet, sits a 20 valve 4A-GE engine. The versatility of this engine never ceases to impress me. Those huge ITB's and the straight 3” stainless steel exhaust give a hearty scream as he rises through the rev range. The motor has been through a ton of work, all the internals are now forged and compression has been raised, the engine has been built by Peter Hinkson, here in Barbados, the yellow color stands as a visual code for the engine size and level of modification it has gone through so Peter can keep track of it. Porting and Polishing the engine has been the job of Kurt Ward, he fine tunes the built engine. 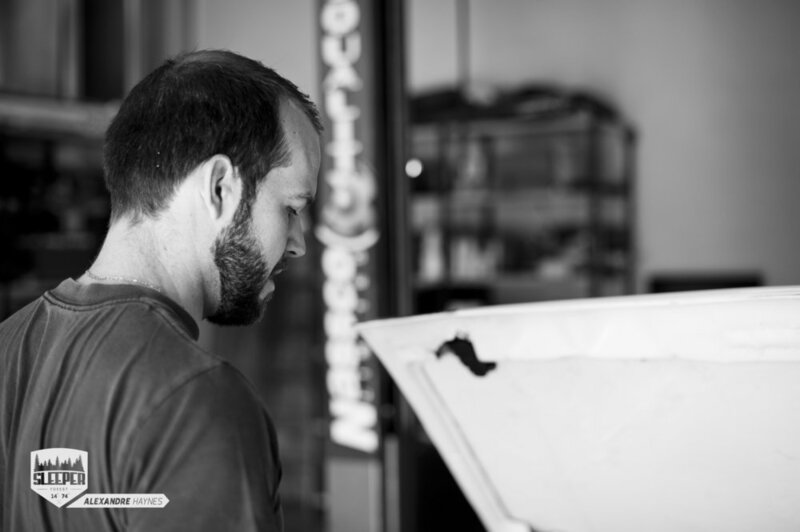 Jason King maps the engine using Mega-squirt 3 engine management. The Pistons are ceramic coated to survive the heat and demands needed from it, as it powers through the rally stages. This engine makes around 195 hp and it a screams, a lot! Looking under the car, the 6 speed tractive sequential gearbox sits attached to the 4A-GE engine via an adapter plate, this one was fabricated in Ireland for this particular use. Over the years, the modifications to the car adds up. Its wheelbase has been extended to that of the AE86, and its rear axle is now a Winters Performance Spool axle rear axle. This behaves like a a welded differential helping the car with cornering making it more predictable in the corners on uneven surfaces. Even small things like weight distribution has been given attention, allowing it to be as close to 50/50 distribution as possible. Stopping the car is the job is a set of twin piston 300 mm AP racing discs at the front and pair of single pistons at the rear. Reiger's suspension at the rear of the car, and Bilstein's at the front allow the car to be fine tuned for optimum stability. Neil and Shaun make quite the team. The process continued with the removal of the driveshaft so the gearbox could be disconnected from the engine, as well as the exhaust down-pipe. This gives clearance for the engine to be removed from the bay. They were taking things a bit easier as there wasn't a rally event in progress. Being able to watch Neil and Shaun work together on this car, really brought things into perspective for me. Onlookers tend to take the amount of work and development for a rally car for granted. 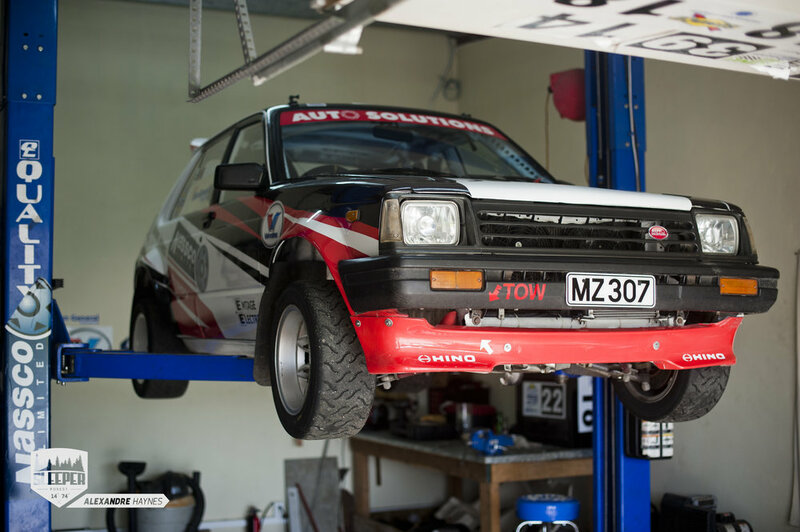 Neil has worked on this car tirelessly over the years of his rally career and he hasn't given up. It gives testimony that our habits have a direct effect on the outcome of our actions. For Neil, he has been successful in his career due to the good habits he has developed into a process. This process though unseen comes to light for a few split seconds while he's screaming past you at the rally stages. Lets never forget the process, amazing things always take a little time. Thanks to the Corbin Racing Team, for this experience with them! Until next time, this is Alex, Happy Motoring! It's rusty, it's old and it's mine!